Inspired by her own experience as cycling commuter in New York City, Alexia created a set of accessories for cyclists featuring reflective elements to help them stay visible and safe during evening rides. 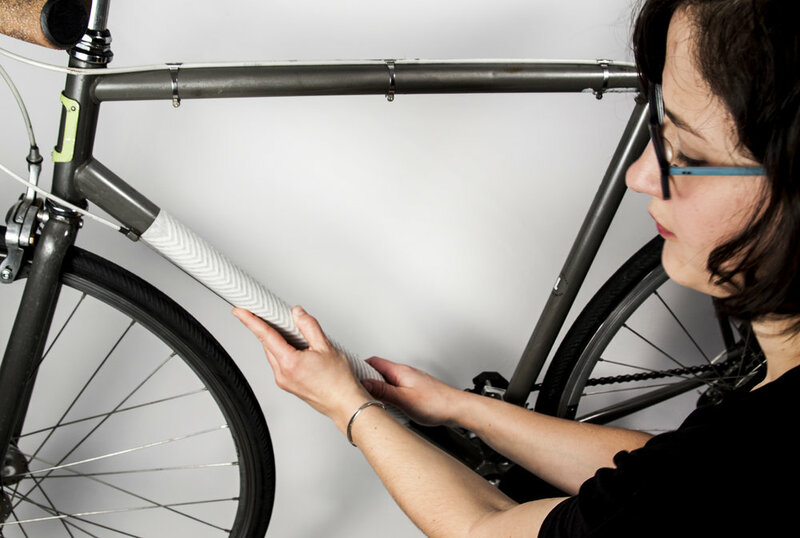 Light Tape is a set of patterned reflective stickers to overlay on any bicycle frame in dynamic patterns that are augmented by the reflection qualities of the material. Patterns include a stripped herringbone, a double chevron, and a wave. Move from your office to your bike share safely with Vesta Scarf. Wear it as scarf or quickly convert it into a reflective vest for safe riding. Made of modern materials with reflective details, look good, stay safe and stay active. Inspired by the Op Art Movement Alexia designed the textile pattern on this scarf to optimize reflection. Additionally, the trim features reflective material along the whole edge of this infinity scarf. 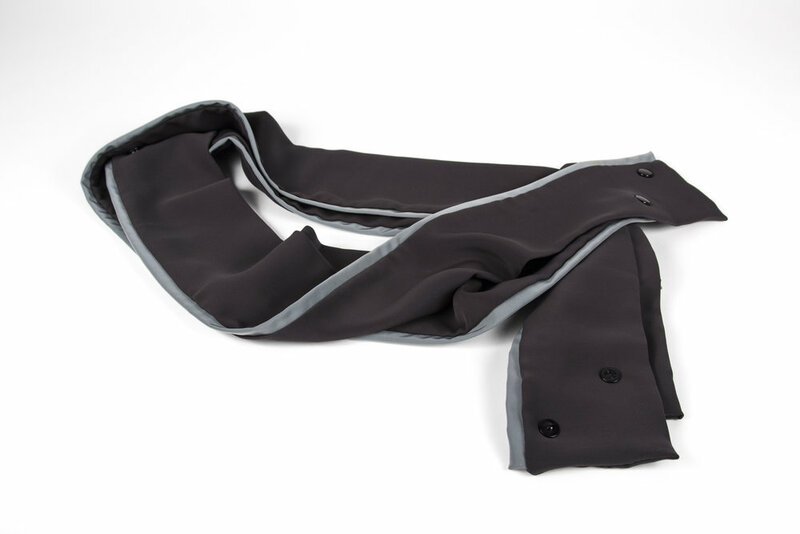 A simple scarf with a reflective border, it features snap buttons on the ends to make sure the scarf stays on while ridding.